Very often we associate fashion with glamour. But before a garment reaches it glamorous destination it starts its journey as a single yarn. The yarns that make up the fabric of the garment plays the most important and crucial role. 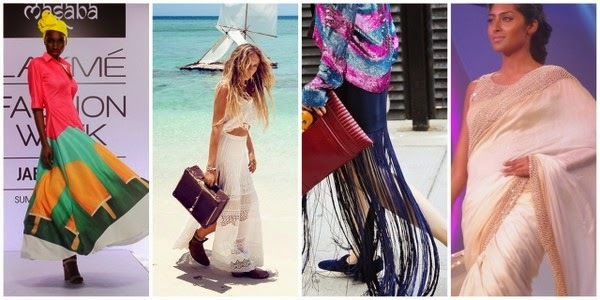 Like everything else in the fashion world, the world of textiles has been evolving in its efforts to offer us new age fabrics. As much as I love discovering new designers and trends, it brings me immense joy when I learn about a new fabric. When I was invited for Liva's official unveiling I was mighty thrilled. To be honest, I have known about Liva for a while now, however, I got to see the fabric’s full potential up-close at an event that took place a few days back. To start with, what is Liva? Liva is a new age, high quality fabric made from natural (wood pulp) cellulosic fibres. The fabric is the brain child of Birla Cellulose, a part of the Aditya Birla Group. The key feature of Liva is, its fluidity. Due to its soft, free flowing characteristic, the fabric is ideal for a number of silhouettes and drapes. 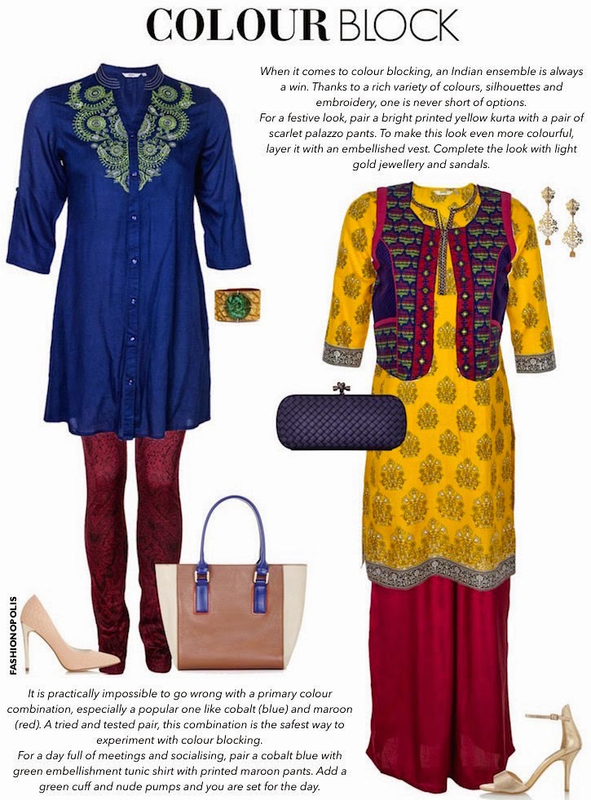 Along with fluidity, Liva has a natural sheen to it. Since the fabric is made from natural fibres and renewable resource, it has a great breathability and absorption ability that allows the skin to breathe easilys and provide comfort even in the harshest weather. 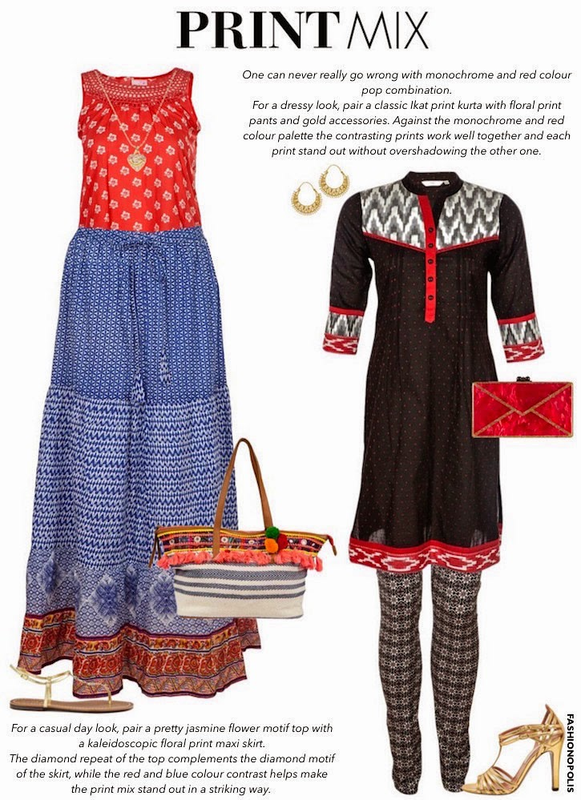 In a nutshell, Liva is a fluid, lustrous, skin-friendly fabric, that is set to change the face of the fashion world. 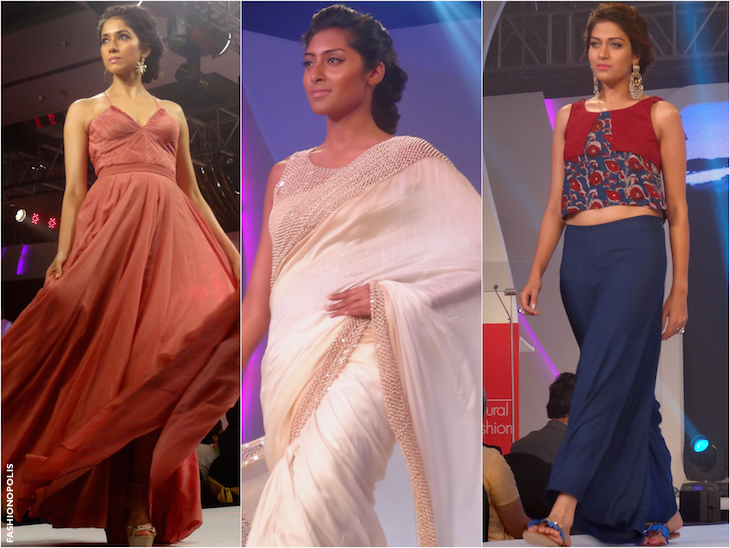 The graceful fluidity of LIVA was bought to life through a fashion show title ‘Panchtatva’. The show was divided into 5 collections inspired by 5 elements of nature. Each designer’s collection was inspired by one of nature's element to highlighted the fluid quality of the fabric. Air was the theme for James Ferreira’s all white, cowl drape and sequin embellished collection. 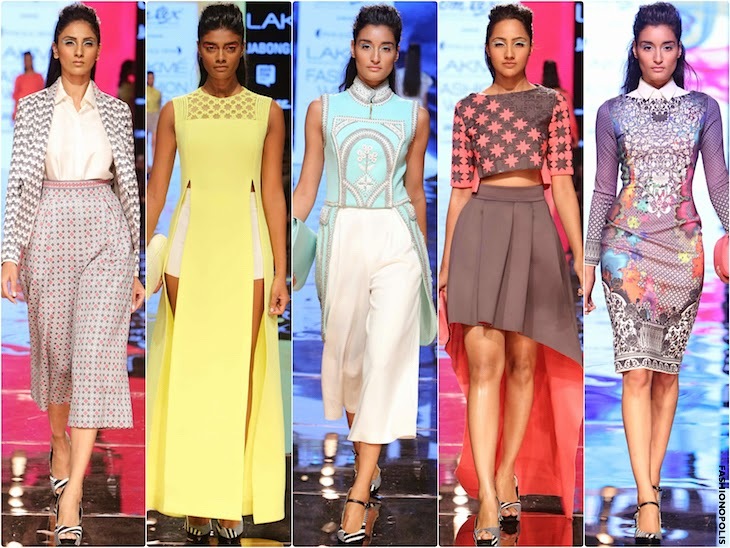 Puja Nayyar took inspiration for the vast expanse of Mother Earth for her neutral palette with neon pop collection. 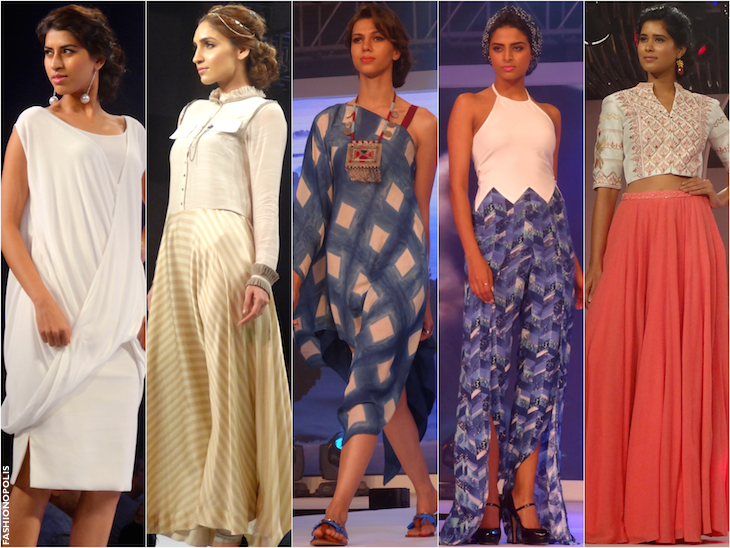 The shapes and shades of sky played muse for Soham Dave’s collection. 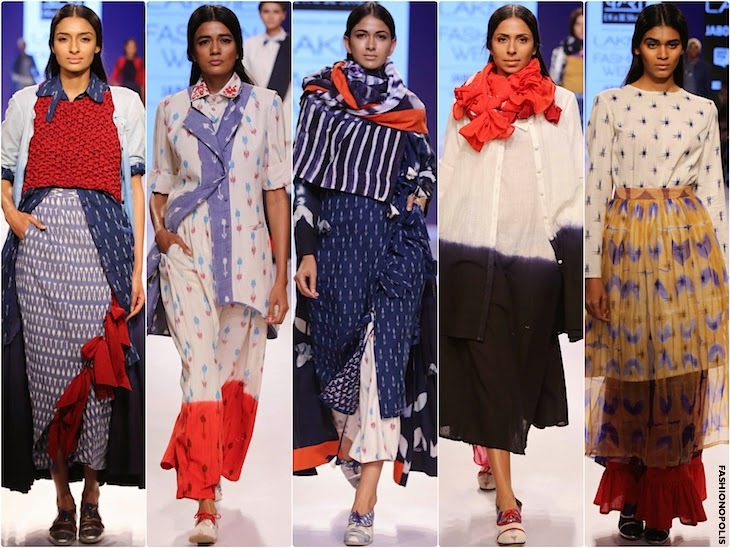 Narendra Kumar decide to showcase the fluid nature of water through ripple effect inspired prints, sharp tailoring and structured silhouettes . 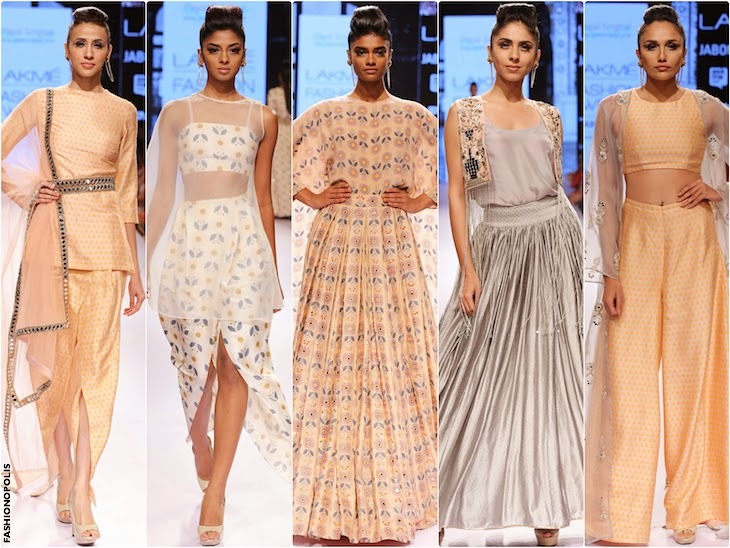 The warm colours and voluminous skirts were the highlight of Anita Dongre’s fire theme collection . The highlight of the fashion show was show stopper Kangana Ranaut, who is the official face and brand ambassador for Liva. 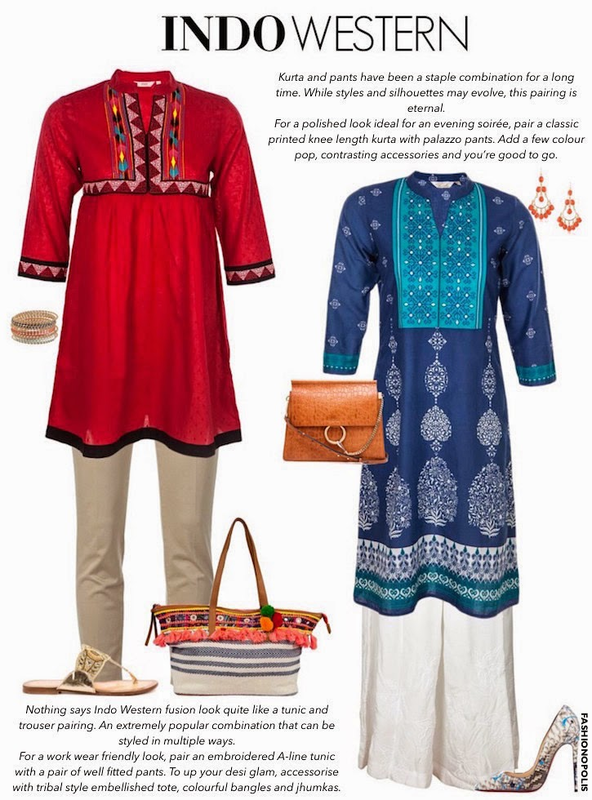 Brands like Global Desi, AND, Allen Solly, Van Heusen, Pantaloon and Chemistry are already using Liva for their collection. 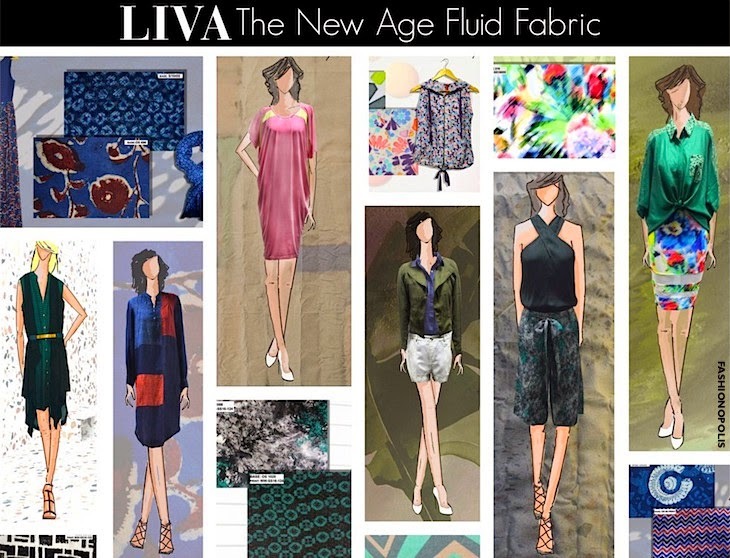 With an aim to make Liva the preferred choice of fabric with all designers and fashion brands, Liva is all set to revolutionise Indian (and global) fashion industry. This week, IFB members made a lot of lists. It’s not that surprising—bloggers are known for making lists. But among this week’s submissions, I was impressed by the spectrum of topics featured, from 3 ways to wear a white shirt, to 4 Kentucky Derby looks to 20 ways to wear short hair (with a video!). The originality of IFB is always impressive. And as you know, we don’t usually choose outfit posts for LALM, unless they have an exceptionally compelling angle. This week, we went for it because anyone who braves a swarm of bees for an #OOTD photo deserves a shout out. On to the links!